This week the SubseaIQ team added 1 new projects and updated 8 projects. You can see all the updates made over any time period via the Project Update History search. The latest offshore field develoment news and activities are listed below for your convenience. Sep 25, 2012 – The Israeli Foreign Ministry released a report Sunday regarding new developments that concern the future of the Gaza Marine gas field. Gaza Marine is located roughly 18 miles off the coast of the Gaza Strip. BG, with a 90% interest, is the field operator and estimates reserves of around 1 Tcf. Due to Israeli-Palestinian relations, development of the field has been on hold since two appraisal wells were drilled in 2000. The recent report indicates that Israeli and PLA officials have opened a meaningful dialogue in an effort to come to an agreement on a mutually beneficial development plan. S. America – Other & Carib. Sep 25, 2012 – BPZ Energy’s CX-15 platform has been delivered and anchored on location at the West Corvina field. The buoyant tower and topside arrived in Peru via heavy lift vessel September 5. At this point, the tower has been ballasted down and the topsides mated to the hull. Final weld out and hook up of facilities is being completed, after which the Petrex-28 platform rig will be brought on board and assembled. The first well is expected to spud in late October. 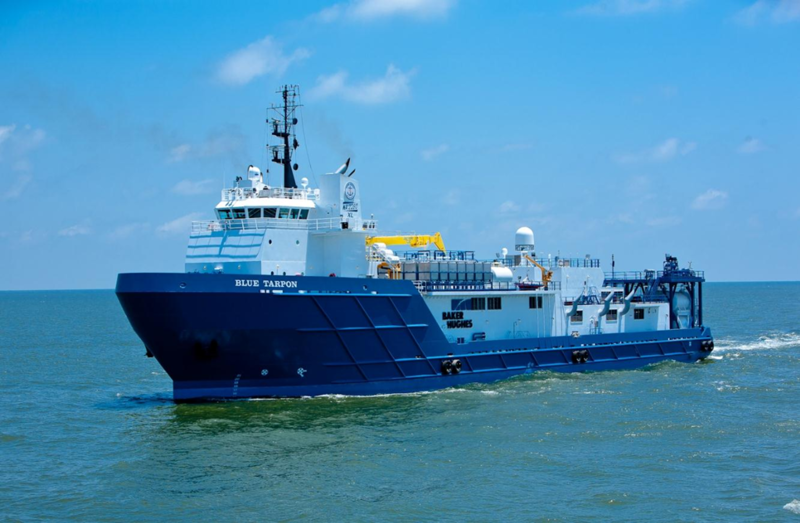 Sep 26, 2012 – BW Offshore announced a contract extension with CNR International (C? ?te d’Ivoire) SARL for the lease and operation of the FPSO Espoir Ivoirien. The firm period of the 4 year extension will carry the contract to 2Q 2017. In addition, the option period has been adjusted and could allow CNR to lease the vessel through 2Q 2036. The total contract value (including options) is $925 million, which is up from the previous contract of $250 million. Sep 24, 2012 – The deep waters of Block 16, offshore Angola, continue to be good to Maersk Oil and its partners. A recent production test of the Caporolo-1 exploration well flowed a maximum of 3,000 bopd on a 36/64″ choke. Caporolo-1 was drilled to 18,070 feet into a structure adjacent to, but separate from, the nearby Chissonga discovery. Drilling was done by the Ensco 5001 (DW semisub) in 4,567 feet of water. Comments from Maersk Oil indicate that further exploration and appraisal will be needed to determine if the discovery is able to be developed. Sep 27, 2012 – Anadarko announced it ceded its 30% stake in Brazilian block ES-M-661, part of the BM-ES-24 concession, to operator Petrobras who now maintains a 70% interest. The company relinquished its interest in the block 6 months ago but the transaction received the Brazilian National Petroleum Agency’s approval just recently. Petrobras announced in July that the Grana Padano well, located in ES-M-661, was a heavy oil discovery. Anadarko still maintains its interest in two other blocks in the concession. Sep 27, 2012 – Drilling at Vanco’s Canario prospect is underway. Canario is located in block BM-S-63 and is being drilled by Transocean‘s GSF Arctic 1 (mid-water semisub). The primary target is post-salt turbiditic sands of the Middle Itajai-Acu formation and is expected to be intersected at 10,498 feet. Secondary sandstones in the Upper Jureia formation are being sought as a secondary objective. Total depth for the well is projected to be 15,748 feet. Drilling is expected to take 2 ??? 3 months, at which point the rig will mobilize to the Jandaia prospect in block BM-S-71. Sep 27, 2012 – Logging is currently being completed and preparations are being made to begin production testing at the Boreas-1 exploration well in Browse Basin, according to Karoon Gas Australia. To this point, interpretation of the data gathered from the well indicates the presence of net pay gas sands exhibiting good reservoir properties. The Transocean Legend (mid-water semisub) is being used to carry out the exploration drilling program which calls for a minimum of 5 wells to be drilled in the area. Sep 26, 2012 – New Zealand Oil & Gas said it will drill a well at its Kakapo prospect when a suitable rig can be negotiated. Kakapo is located in Permit 51311 about 25 miles off the South Taranaki coast of New Zealand. NZOG was awarded the permit in 2009 and, based on terms, had to either relinquish the permit this week or keep it and commit to drill. As operator, NZOG has a farm-out agreement with Raisama Energy, whereby Raisama will earn a 10% stake in the permit by carrying 20% of the costs for the first well – not to exceed $3 million. A timetable for the first well is expected to be confirmed within the next 6 months. Sep 24, 2012 – Noreco announced the start of drilling operations at the Romeo prospect in the UK North Sea. The exploration well is located in block 30/11c of license P1666. Romeo is a fault bound dip closure in a proven Upper Jurassic play. Primary risk to success is considered to be the trap geometry in the formation. Suncor, as operator of the license, has engaged the WilHunter (mid-water semisub) to provide drilling services. Downhole conditions are expected to be borderline HPHT so the well will be drilled as such. 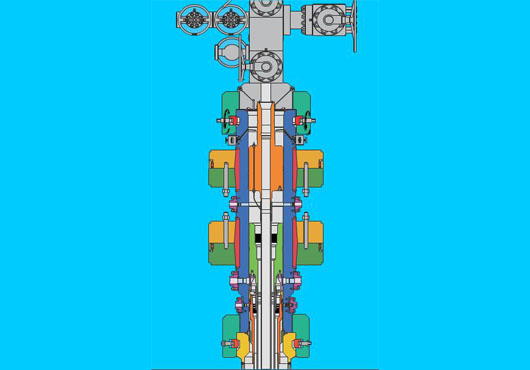 Baker Hughes Incorporated, announced that its subsidiary has chartered a new state-of-the-art pressure pumping vessel that will provide offshore stimulation services to Maersk Oil in the North Sea. Upon completion, scheduled for late 2013, the Blue Orca(TM) will become the eighth vessel in the Baker Hughes fleet. The Blue Orca will be rated to 15,000 psi and will offer among the largest fluid and proppant carrying capacities in the world. It will provide 15,000 hydraulic horsepower pumping capacity and the ability to pump at rates well in excess of 60 bpm. Engineering work on the marine and stimulation systems has already begun. The Blue Orca will join Baker Hughes’ other stimulation vessels – including the company’s newest additions to the Gulf of Mexico: Blue Tarpon and the Blue Dolphin. The vessels support offshore completion operations and will be equipped to support high-rate and high-volume multi-zone fracturing operations. This week the SubseaIQ team added 1 new projects and updated 16 projects. You can see all the updates made over any time period via the Project Update History search. The latest offshore field develoment news and activities are listed below for your convenience. Jan 3, 2012 – BG Group has commenced exploratory drilling in Block 1 offshore Tanzania using the Deepsea Metro-1 (UDW drillship). The first three wells in the program will be Jodari-1, Mzia-1 and Papa-1. The operator will drill the Mzia-1 top hole section first, as part of a batch drilling program, then the rig will move to drill Jodari-1 in its entirety, before returning to Mzia-1 to complete the bottom portion of the well. Ophir spudded the Mzia-1 well in 4,921 feet (1,500 meters) of water on Jan. 1, 2012, which should take seven to 10 days. The operator will then spud the Jodari-1 well in a water depth of 3,789 feet (1,155 meters) and drill to total depth of 15,092 feet (4,600 meters) in 40 days. The Jodari prospect contains multiple stacked targets in both the Tertiary and Cretaceous sections with the former having seismic flat spot and amplitude fit to structure. Jodari is modeled to contain mean resources of 2.2 Tcf in the stacked targets. BG Group operates the blocks with a 60 percent stake; while Ophir holds the remaining interest. Jan 5, 2012 – McMoRan has reached a true vertical depth of 33,400 feet (10,180 meters) in the Blackbeard East by-pass well, and logging operations for the section below 30,800 feet (9,388 meters) are under way. Wireline logs indicated that Blackbeard East encountered hydrocarbon bearing sands in the Oligocene with good porosity below 30,000 feet (9,144 meters). The well previously encountered 178 net feet (54 meters) of hydrocarbons in the Miocene sands above 25,000 feet (7,620 meters). Pressure and temperature data below the salt weld between 19,500 feet (5,944 meters) and 24,600 feet (7,498 meters) at Blackbeard East indicate that a completion at these depths could utilize conventional equipment and technologies. The Blackbeard East exploration well lies in 80 feet (24 meters) of water on South Timbalier Block 144. McMoRan operates the block, holding a 38.5% interest; PXP holds 31.5%; EXXI holds 18.0%; W.A. “Tex” Moncrief, Jr. holds 10%; and a private investor holds 1.6%. Jan 5, 2012 – McMoRan is moving forward with completion activities of the Davy Jones No. 1 discovery well at South Marsh Island Block 230 in the GOM. Installation of the central processing facility for the Davy Jones No. 1 well and sales pipelines were completed. The operator plans to proceed with the completion and flow testing of the well once the wellbore is cleared. Once a flow test is completed, McMoRan expects first production from the well to be established. As previously reported, McMoRan has drilled two wells on the field. The operator expects to complete and flow test both wells in 2012. Davy Jones is located on South Marsh Island Block 234 in 20 feet (6 meters) of water. McMoran operates the block, holding a 32.7% interest; PXP holds 27.7%; EXXI holds 15.8%; Nippon Oil holds 12%; W.A. “Tex” Moncrief, Jr. holds 8.8%; and a private investor holds the remaining 3% interest. Jan 5, 2012 – Shell has restarted production at its Bonga oil field offshore Nigeria, after an oil leak was detected. The facility was closed after a leak during a tanker loading operation on Dec. 20, leading to a serious oil spill, announced Dow Jones newswires. Shell says it completed the clean-up from the spill and resumed output on Jan. 1 at the 200,000 bopd oil field. The Bonga field is located 75 miles (120 kilometers) offshore Nigeria in Oil Prospecting License 212. SNEPCo (55%) under a Production Sharing Contract with Nigeria National Petroleum Corporation (NNPC) operates Bonga. Jan 4, 2012 – Maersk Oil and partners have made a discovery in the Azul-1 deepwater exploration well in Block 23 in the Kwanza Basin offshore Angola. Azul-1, drilled in a water depth of 3,028 feet (923 meters), reached a final depth of 17,500 feet (5,334 meters). The condition of the well prevented an assessment of flow capacity by a conventional test, which was performed as a mini-DST. This test enabled the recovery of two good quality oil samples. Maersk says the preliminary interpretation of the data indicate a potential flow capacity greater than 3,000 bopd. The operator will further evaluate the results of the discovery and will proceed with exploratory work in the block. Maersk Oil is the operator of Block 23 with a 50 percent interest. Partners in the block consist of Svenska (30 percent) and Sonangol (20 percent). Jan 3, 2012 – Ophir Energy expects to secure a rig to commence a three-to-four well drilling program in the extended Block R offshore Equatorial Guinea. The program, which is designed to demonstrate sufficient gas volumes to underpin a planned second LNG train in Equatorial Guinea, will include one or more appraisal wells on Ophir’s Fortuna-1 discovery, plus exploration wells on the Tonel and Silenus prospects. Drilling should commence in late March. Ophir believes that the gas volumes in Block R are likely to range between 2 to 4 Tcf with additional upside potential in as-yet untested play types. Ophir operates the block with an 80 percent stake. Jan 3, 2012 – Ophir Energy has commenced a 3D seismic program in the Mbeli and Ntsina licenses offshore Gabon. The operator is acquiring 518,921 acres (2,100 square kilometers) of data, which should take 42 days to complete. The survey is specifically designed to mature pre-salt targets for drilling in late 2012. Ophir operates the licenses with a 50 percent interest; while Statoil holds the remaining interest. Jan 3, 2012 – Kosmos Energy plans to commence appraisal drilling on the Teak-4 well in first quarter 2012. Teak is located in the West Cape Three Points Block, which Kosmos Energy operates with a 30.875 percent interest. Partners in the license include Anadarko Petroleum (30.875 percent), Tullow Oil (26.396 percent), Sabre Oil & Gas (1.854 percent) and Ghana National Petroleum (10 percent). Jan 5, 2012 – BPZ Energy expects to install the new CX-15 platform on the Corvina field and begin a development drilling campaign in the second half of 2012. Two wells are scheduled to be completed during 2012 with first oil production expected in the fourth quarter. The Corvina oil and gas field is situated in the offshore Block Z-1 in northwest Peru. BPZ Energy operates the field with a 100% interest in the license. Dec 30, 2011 – Rockhopper Exploration has completed coring and logging operations at well 14/15-4z in the Falkland Basin. The sidetrack well, about 41 feet (12.5 meters) from the main wellbore, reached a total depth of 8,383 feet (2,555 meters) MD. A total of 377 feet (115 meters) of core was cut through the hydrocarbon-bearing Beverley, Casper South, Casper and Sea Lion reservoirs bringing the total amount of core cut during the entire drilling campaign to 1,493 feet (455 meters). Rockhopper says that drilling of the well has completed the commitments required to earn the 60 percent interest and operatorship of license PL004b. The well will now be plugged and abandoned. Jan 3, 2012 – Apache plans to acquire new 3D seismic data over the Zola gas discovery, located in WA-290-P, in June 2012 with processing to follow. Appraisal drilling is set to follow. The field is located in a water depth of 935 feet (285 meters) offshore Western Australia. Apache operates the permit, holding a 30.25% interest. 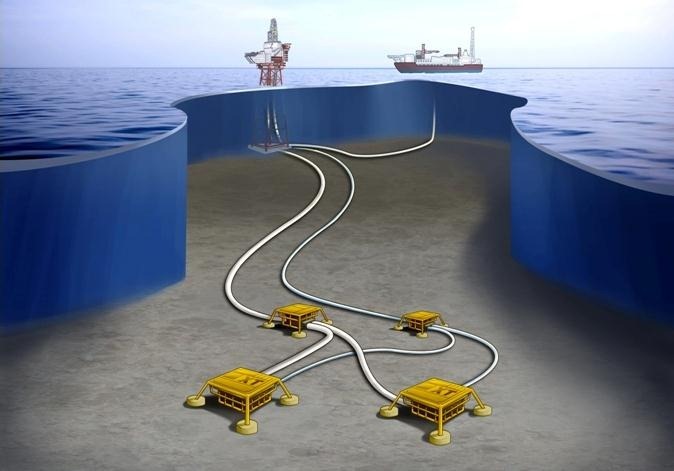 Jan 5, 2012 – Marathon awarded Aker Solutions a contract to supply a subsea production system for the Boyla (formerly Marihone) development in the Norwegian sector of the North Sea. The scope of work includes engineering, procurement, construction and delivery of four subsea trees, four over-trawlable subsea structures and control systems. Final deliveries will be made in 1Q 2013. The Boyla field, located in Production License 340 in 394 feet (120 meters) of water, will be subsea tied-back to the Alvheim FPSO. Marathon operates the project with a 65 percent interest; while ConocoPhillips holds 20 percent; and Lundin holds 15 percent. Jan 5, 2012 – Statoil found more oil in the Skinfaks South field in the Norwegian sector of the North Sea. The operator confirmed the discovery of light oil in Middle Jurassic reservoir rocks (Brent group) and an 262-foot (80-meter) high column in good-quality reservoir rocks. Drilled to a vertical depth of 12,211 feet (3,722 meters), the well concluded in the Drake formation in Middle Jurassic rocks. The field is located on Block 33/12, directly west of the Gullfaks field in the Tampen area. Serving as operator of the block is Statoil with a 70 percent interest; while Petoro holds the remaining interest. Dec 30, 2011 – Norwegian Energy Company (Noreco) has completed the sale of its interest in license PL 435, containing the gas discovery Zidane-1, to OMV. Noreco is also under certain conditions entitled to an additional consideration if a discovery is made in the upcoming exploration well Zidane-2. The license contains the Zidane-1 gas discovery, which was made in 2010, and is estimated to contain between 5 and 18 Bcm of recoverable gas. Jan 5, 2012 – SBM Offshore has received an extension of 26 months for the lease and operating contract of the Marlim Sul FPSO from Petrobras. The extension begins in April 2012, at the end of the initial lease period, which was eight years. The vessel is capable of processing 100,000 bopd and 2.3 MMcm/d of gas compression. The produced gas is exported through Campos Basin pipelines. The vessel is moored in a water depth of 4,692 feet (1,430 meters), and has five oil producers and four water injectors tied-back to the FPSO. Jan 3, 2012 – Petrobras has discovered a light oil and natural gas accumulation in the Golfinho Concession (4-BRSA-1001-ESS) offshore Brazil. The discovery was made during the drilling of well 4-GLF-31-ESS, known as Tambuata, in a water depth of 4,987 feet (1,520 meters). Petrobras will continue to drill the well at a depth of 20,013 feet (6,100 meters) in order to test deeper formations. Reservoirs from the Cretaceous Period, Santonian Age were identified and are already producing in the field, at a depth between 14,862 and 15,322 feet (4,530 and 4,670 meters), stated the operator. The reservoirs are in good condition for production. Jan 3, 2012 – Petrobras has submitted a Declaration of Commerciality with the Brazilian National Agency of Petroluem, Natural Gas and Biofuels for the accumulations of light oil and gas in the Guara area. This declaration marks the start of the production phase for the field. The consortium will rename the field as Sapinhoa. The consortium drilled four wells in the area, including one well designed for reservoir data acquisition. Drill stem tests were performed on three of the wells. In addition, a five-month extended well test was carried out on the discovery well, confirming the excellent productivity of the Guara reservoir. Data gathered from this test will assist in the optimization of the field development plan. Guara is located in Block BM-S-6 about 186 miles (300 kilometers) off the Sao Paulo state coast. Petrobras serves as the operator of the consortium, holding a 45 percent interest; while BG Group holds 30 percent; and Repsol Sinopec Brazil holds 25 percent. Dec 30, 2011 – Petrobras estimates that the Guara presalt area holds roughly 2.1 Bbbl of oil equivalent in Brazil’s Santos basin. The new field, located in BM-S-9 block, is formed by reservoirs of high-quality oil. Petrobras sent a declaration of viability to Brazil’s national oil regulator, ANP, a year ahead of the deadline it was given. The company plans to submit a development plan to the organization in February. 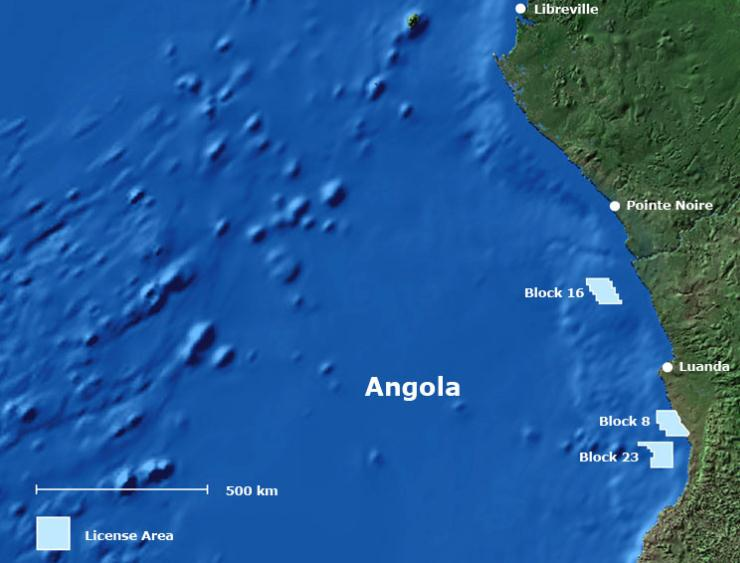 Songangol, Maersk Oil and other partners declared the Azul-1 deepwater exploration well, located in Block 23 in the Kwanza Basin offshore Angola, a discovery well. The preliminary interpretation of the data indicated a potential flow capacity greater than 3,000 barrels of oil a day. Taking into account these encouraging results, Maersk Oil will further evaluate the results of this discovery and will proceed with exploration work in the block. Sonangol E.P. is the block Concessionaire. Maersk Oil is operator of Block 23 with a 50% working interest with partners Svenska (30%) and Sonangol P & P (20%). “We are encouraged by the results of our first pre-salt exploration well in this region, which was also the first ever deep water well targeting pre-salt reservoirs in the Kwanza Basin. The result may be a further step towards our goal of building up a significant business in Angola,” said Lars Nydahl Jorgensen, Head of Exploration at Maersk Oil. “There is substantial evaluation work ahead of us to determine whether the discovery is enough to invest further to get production going. This will be done by, amongst other things, state of the art reprocessing of seismic data. Fully appraising the discovery will take several years and it is far too early to guess the outcome,” Jorgensen said. Plexus Holdings PLC, an oil and gas engineering services business and owner of the proprietary POS-GRIP® method of wellhead engineering, announces world leading oil and gas companies Maersk Oil , Shell, Wintershall, and the UK entity of the world’s largest offshore drilling company, and oil and gas technology solution consultancy SafeKick Ltd have signed up as consulting partners to Plexus’ Joint Industry Project (‘JIP’) to develop and commercialise a new and safer subsea wellhead utilising Plexus’ patented POS-GRIP technology. In addition Plexus is in advanced discussions with three further international oil and gas operators regarding joining the JIP project, and expects to provide an update on this in due course. Plexus’ CEO Ben Van Bilderbeek said, “Today’s announcement is a major vote of confidence for our JIP subsea wellhead project, and confirms the strong support and encouragement we continue to receive from key industry players to further develop our friction grip wellhead technology in areas beyond our organic jack-up exploration activities. I believe that there is a growing recognition by the industry of POS-GRIP technology, which reinforces the significant commercial potential in new application areas such as subsea. “I am confident that the HGSS Subsea Wellhead will ultimately prove to be a superior subsea wellhead option in the years to come, and we look forward to working closely with all our new partners, as well as welcoming additional JIP members to the project in due course, as we continue to develop the POS-GRIP HGSS Subsea Wellhead project”.